A man never goes anywhere without a knife, and the Maxam Hunting Knife is just the tool for a serious man. 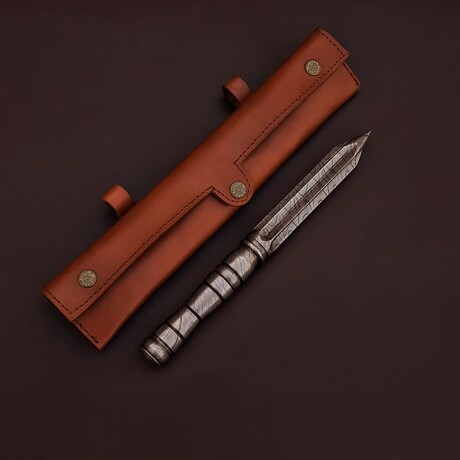 This sheathed hunting knife features a rubber handle, a half-serrated spine capable of cutting wood or bone, and a rugged 420 stainless steel blade. Blade measures 7-3/4″. Knife measures 12-7/8″ overall. Sheath included.Gift box.